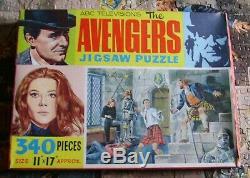 An original 1966 ABC Television's The Avengers Jigsaw Puzzle. One of a series of four, this one titled "Castle De'ath". A 340 piece die-cut card puzzle, size approx. The puzzle is complete and in very good condition. In its original box which is in very good condition with some signs of age. 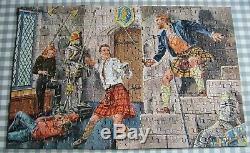 The item "1966 The Avengers Jigsaw Puzzle Steed Peel ABC Television Castle De'ath" is in sale since Sunday, April 7, 2019. 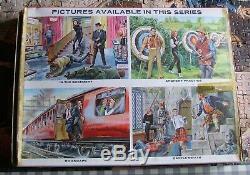 This item is in the category "DVDs, Films & TV\TV Memorabilia\Other TV Memorabilia". The seller is "shef89" and is located in Newark. This item can be shipped worldwide.